Meet the "Street Food" family, a collection of templates ideal for gastro pages. 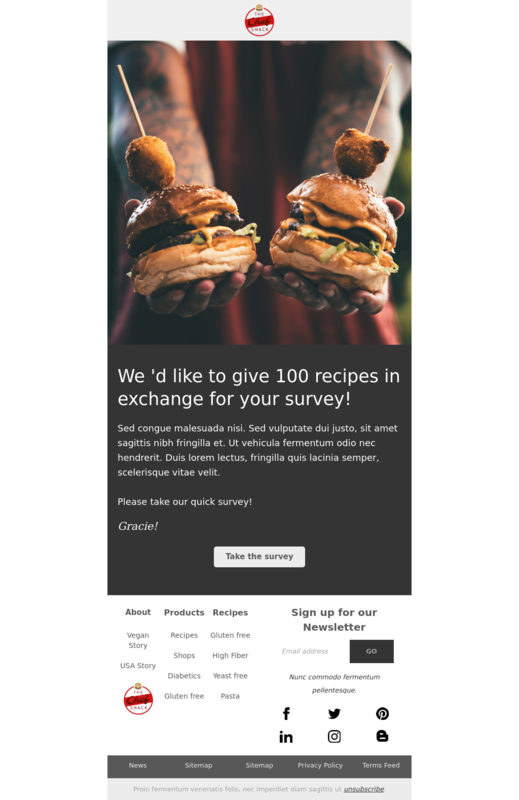 This email template will surely got you feedback from your beloved customers. Change the logo and text and send it out!